William Scheide has donated to Princeton a rare Gutenberg Bible, a Shakespeare First Folio, and other incredible historical relics. 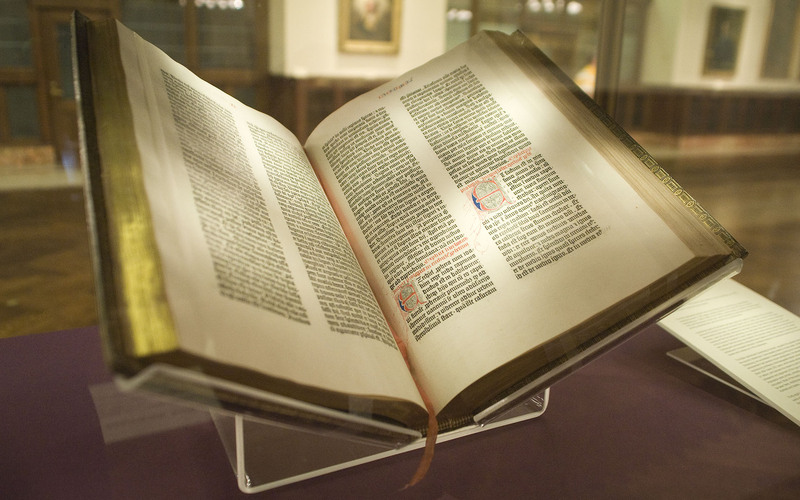 William Scheide’s donation to Princeton University – numbering 2,500 items – contains the first six printed editions of the Bible, one of which is a Gutenberg Bible printed in 1455 . The collection also contains an original printing of the Declaration of Independence, Shakespeare’s First through Fourth Folio, and handwritten music by composers Bach, Mozart, Beethoven, Schubert and Wagner. Additional items of note in Scheide’s gifted library include an autographed speech made by President Abraham Lincoln in 1865 and an original letter written by Gen. Ulysses S. Grant during the conclusion of the Civil War. This phenomenal assemblage of the written word represents the work of three generations of bibliophiles starting with Mr. Scheide’s grandfather, William Taylor Scheide, in 1865. Princeton housed The Scheide Library, complete with furniture, rugs, and art work from the collection’s original home in Titusville, Pennsylvania, in their Firestone’s Department of Rare Books and Special Collections. Though open to students and scholars, the collection remained privately owned until it was officially bequeathed to the university following Mr. Scheide’s death in November 2014. The well known philanthropist’s gift to his Alma Mater stands as the largest to date. William Scheide’s contribution of these items is nothing less than the grandest of grand gestures, with a nod to posterity and future scholarship. For a larger catalog of books and manuscripts donated by Mr. Scheide please visit Princeton University’s website. Additional information can be found at the BBC.